Within the past week, I posted some material on the fact that modern obstreperous atheism is fading, and how to deal with them [1, 2, 3]. Worse for them, Christianity is growing — especially in atheist-governed and Mohammedan-governed countries! I had supporting links, so I am not going to ruin my morning by repeating myself. Instead, I am going to have a bit of fun by letting atheo-fascist humiliate themselves. You see, I posted those articles and let the, uh, whaddyacallit, auto-posting announce them on Twitter and Facebook. What to my wondering eyes did appear but more of the same old stuff: Personal attacks, misrepresentation, moving the goalposts, change the subject and try to get me to defend a different position — if they love "reason", they had jolly well better learn to actually use the stuff, capcie?So I decided to play. Let me point out that I did not approach anyone. They saw the auto-posts and decided to demonstrate their debating skills. Not good. Edit: Forgot to mention that these misotheists gang up like piranhas, as you can see from the number of people involved in each attack. So, I replied to all. Here are some examples with my comments. I hope my students of the "Logic Lessons" series are paying attention (I won't cover every fallacy, you have to do some work yourselves). By the way, I had to take screen shots because I've had these giants of intellect delete their Tweets. Shame? Anyway, have fun! Many of these people could be consider hatetheists . @Stormbringer_5 Ha Ha Ha. 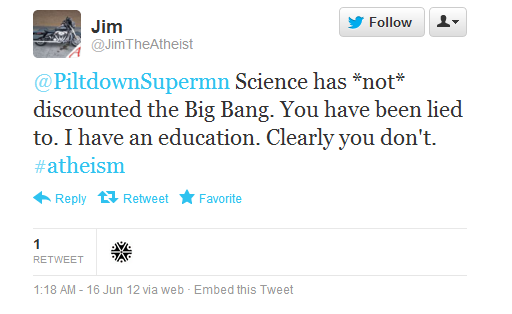 Like sleepy toddlers you creationists are way past the point of reasoning. After a nap try reading a factual book. 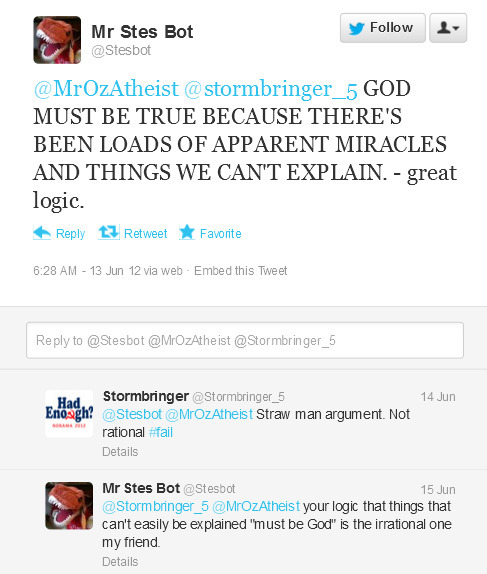 @stormbringer_5 You call every fallacy (and many non-fallacies) strawmen. Good bye. Again. There are some basic things in play here. First, atheism is failing, and that is documented (one reason is that atheism creates its own "Poes" with irrational, vituperative attacks like the ones demonstrated above . Although they claim to love "reason", I see very few atheists who actually use reason (this was blatantly demonstrated at the failed "Reason Rally" ). 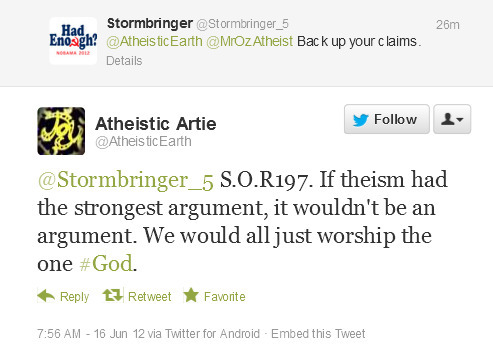 But then, atheism itself is logically and philosophically irrational  and bigoted [8, 9]. Another reason is their worldview. Atheistic presuppostions are that, by virtue of their disbelief, they are somehow more intelligent than Christians — especially Biblical creationists. Part of their worldview is based on a genetic fallacy ! I'm just a st00pid dumb Xtian that won't listen to "reason". Well, I have my own worldview that is firmly rooted in reality instead of denial and assertions. Christianity is logically and philosophically consistent. One attacker in the above screen shots, who ironically calls himself "Oz", was being particularly petulant by claiming about me: "Not willing to listen and arrogantly determined to remain ignorant...There's just a dogged determination to not learn. He doesn't want to be taught and doesn't want to think". Well, aside from the tone of a spanked schoolboy, I do not want to "learn" by rejecting the truth. When I first joined Facebook, I thought it had some kind of rules and standards that applied to everyone. It did not take long for me to realize that they are just like every other big business that will have certain rules that they will enforce when it is expedient. (It is laughable that Rule Six under "Safety" is that you will not bully or harass others. I've been bullied, and I've hit back.) There are Pages and Groups that exist only to ridicule Christians, Israel, Conservatives and so forth (Rule Seven prohibits hate speech). Although I was able to help get a few taken down, there are other noteworthy pages that are still up, despite the obvious and flagrant violations of Facebook's alleged standards. And yet, legitimate Pages and Groups that have a special interest can get shut down. Nothing wrong with their content, and leaving them up will mean that Facebook lives by its alleged mission, "Facebook's mission is to give people the power to share and make the world more open and connected". It ain't happening, Harold. I received the news yesterday that the Facebook page for my book A Queer Thing Happened to America was deleted for allegedly violating Facebook’s “Community Standards.” But Facebook pages like “Hitler Fetus is our Jesus,” “Zombie Jesus,” and a host of other grossly offensive pages apparently do not violate these standards. The Facebook page for my book had been online for about one year, containing reader comments, links to reviews, and relevant news links that some members would post. All in all, the page was quite benign and, being older, fairly inactive. As for the book itself, it is carefully and compassionately written, meticulously documented, and, in reality, an exposé of hate speech rather than an example of hate speech. Yet the page, which featured the cover of the book, allegedly violated Facebook’s Community Standards. Read the rest of "The Facebook Censor Strikes", here. "In my view, most of the revisionists are no longer honest scholars, weighing all the evidence, attempting to be objective and fair-minded historians, seeking the truth. Determined to unmask the ideology of others, they have become ideologues themselves. The revisionist and the postmoderns are dangerous because they have created a kind of relativism ― an anything goes attitude ― that makes serious, critical inquiry difficult if not impossible." For many years, it has been an established fact that archaeology supports the Bible. (I did an article on that here.) Sure, there were people who were daft enough to say, "Aha! Archaeologists have not found evidence of the Hittites. They did not exist. Your Bible is wrong. There is no God!" (Yes, I have encountered people whose "logic" works that way.) Anyway, they had to eat their words because the Hittites' existence was verified after all. 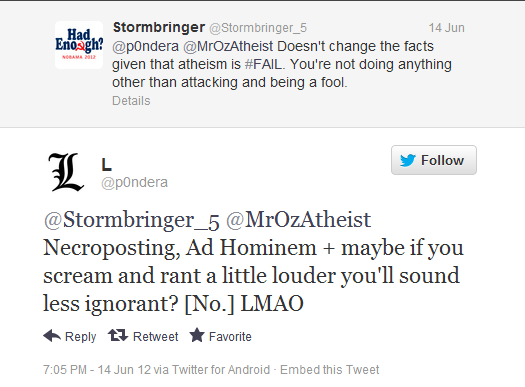 The previous somewhat hyperbolic example used the logical fallacy of argument from silence. Similarly, revisionists, haters, skeptics, misotheists and liberals will use arguments from silence such as, "There is no evidence that the Israelites were captives in Egypt". Then they will cite a "scholar" that breaks from the rest and wants to prove his own bias against the Bible. Amazing. "What about the evidence for the Israelites in Egypt, Uncle Bob?" A storm of debate has erupted in the Jewish world, following the well-publicized assertion by Rabbi David Wolpe of Los Angeles that "the way the Bible describes the Exodus is not the way it happened, if it happened at all." Wolpe made his declaration before 2,000 worshippers at the Conservative Sinai Temple, and the speech was reported on the front page of the Los Angeles Times. The article entitled, "Doubting the Story of Exodus," asserts that archaeology disproves the validity of the Biblical account. While people don't usually get worked up about archaeology, the debate about archaeology and the Bible is often passionate and vitriolic. Biblical Archaeology is often divided into two camps: The "minimalists" tend to downplay the historical accuracy of the Bible, while the "maximalists," who are in the majority and are by and large not religious, tend to suggest that archaeological evidence supports the basic historicity of the Bible text. As a science, we must understand what archaeology is and what it isn't. 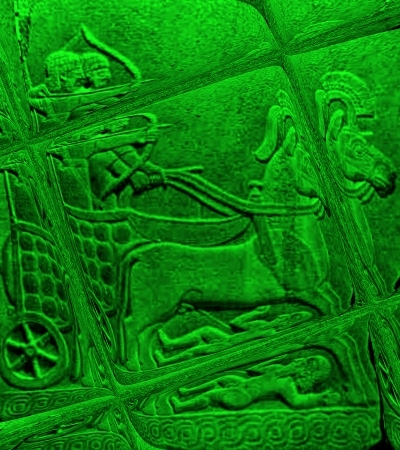 Archaeology consists of two components: the excavation of ancient artifacts, and the interpretation of those artifacts. While the excavation component is more of a mechanical skill, the interpretive component is very subjective. Presented with the same artifact, two world-class archaeologists will often come to different conclusions -- particularly when ego, politics and religious beliefs enter the equation. You can read the rest of this extremely interesting article, "Archaeology and the Exodus", here. Then you can further your education by reading "Archaeology and the Bible - Part 2", here. Buon giorno. An atheist brazenly claimed, "Atheism is the fastest growing religion in the world". Was it ignorance, dishonesty, wishful thinking...? Actually, atheism is declining, and Christianity is increasing [1, 2]. An essay on "Ten Reasons Why American Atheism Will See a Significant Decline" is here. America is seeing an increase in Biblical creationism, despite the efforts of militant atheists, secularists and activist judges. You can't stop the truth forever, capice? I'm glad The Question Evolution Project is a part of this! 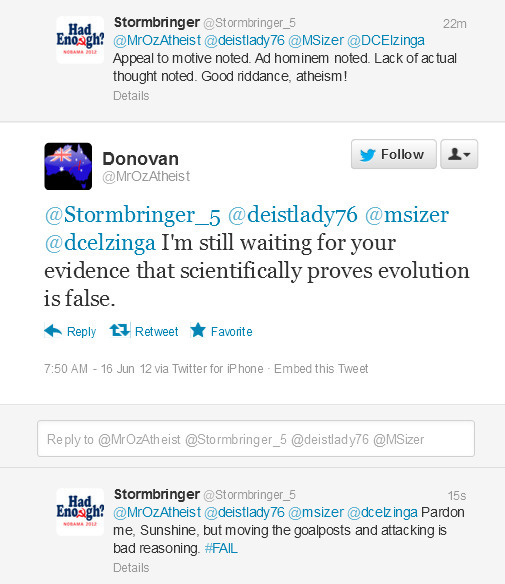 Even more annoying for Darwinists and atheists is that this is becoming a bad year for their religions. 1. Is the young earth creationist organization Creation Ministries International and its Question Evolution! 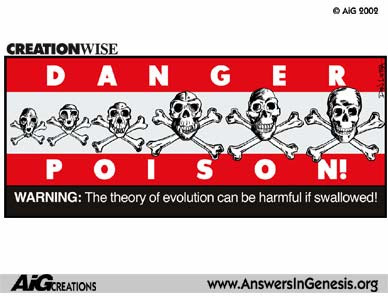 Campaign with its 15 questions for evolutionists on the rise and poised for tremendous growth? 2. Are evolutionists and atheists weak, complacent and in decline? Will the decline continue and accelerate? 3. Is global Darwinism/atheism/agnosticism on the decline and will it effect North America, Europe, Australia and New Zealand? 4. What do the supporters of the Question Evolution! Campaign and its 15 questions for evolutionists want to do to keep the momentum going and help America achieve a creationist majority in America and eventual complete victory over Darwinism? Read the rest of "Creation Ministries International is on the rise, evolutionary belief and atheism is NOT! ", here, Hector. The evolutionary and atheistic worldviews are being dismantled. That leaves a void in someone's life. I can tell you about the way to fill that void, here.